When a wealthy divorce attorney unexpectedly inherits a baby, he asks the baby's temporary guardian to become a temporary nanny. But living in close quarters means these opposites can't ignore their attraction…by day or by night! For his father, Jackson Rush agrees to save Crista Corday from the con man attempting to marry her and steal her fortune—by kidnapping her from her own wedding' But he didn't count on wanting the bride for himself! 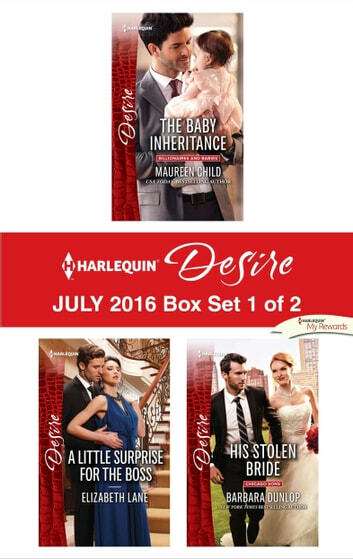 Look for Harlequin® Desire's July 2016 Box set 2 of 2, filled with even more scandalous stories and powerful heroes!